Today’s is La Calavera - “the skull”. 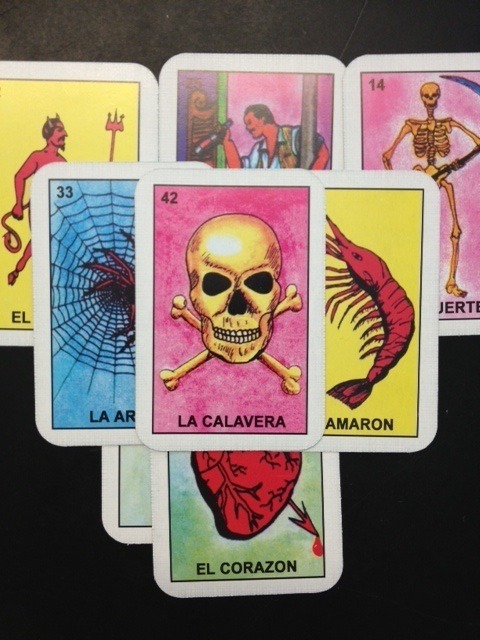 The associated riddle that’s read along with the card during the game: “Al pasar por el panteón, me encontré un calaverón. While passing by the cemetery, I found a skull.” The art and history behind the game has appeared a lot in pop culture and interior design. Etsy Shop in the seam has a pillow we’re really digging featuring the Calavera card.